If you've ever spent hours renaming files or updating hundreds of spreadsheet cells, you know how tedious tasks like these can be. But what if you could have your computer do them for you? Step-by-step instructions walk you through each program, and practice projects at the end of each chapter challenge you to improve those programs and use your newfound skills to automate similar tasks. Don't spend your time doing work a well-trained monkey could do. Even if you've never written a line of code, you can make your computer do the grunt work. 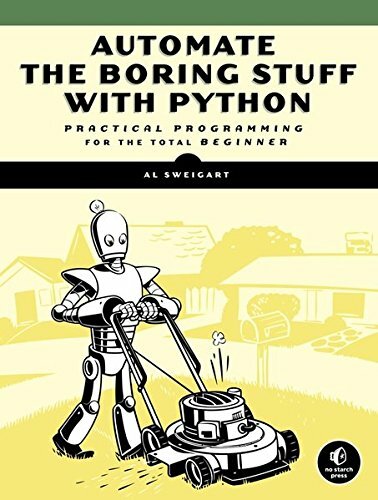 Learn how in Automate the Boring Stuff with Python.